Richard David James (born 18 August 1971), best known by his main alias Aphex Twin, is an English electronic musician raised in Cornwall. He is best known for his influential and idiosyncratic work in styles such as ambient techno and IDM during the 1990s, and is among the most acclaimed figures in contemporary electronic music.Initially releasing acid techno music under aliases such as AFX and Polygon Window, James received widespread acclaim for his 1992 debut album Selected Ambient Works 85–92. During this period, he became associated with UK record label Warp and co-founded the independent label Rephlex. He rose to mainstream popularity with the 1997 single "Come to Daddy" and 1999 single "Windowlicker" as well as for their music videos directed by Chris Cunningham. 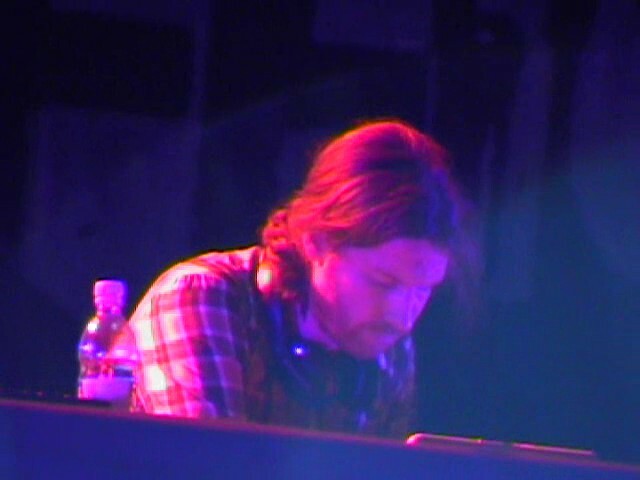 After his 2001 album Drukqs, James continued to issue recordings under other names, including the Analord EPs in 2005 as AFX and a pair of records in 2007 as the Tuss. He returned as Aphex Twin in 2014 with the album Syro, which won a Grammy Award for Best Dance/Electronic Album.